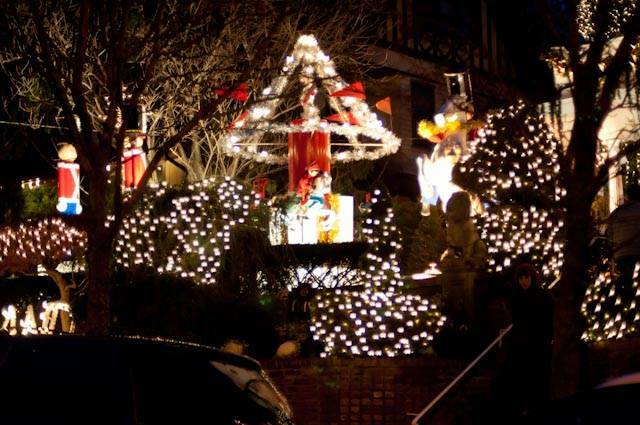 Amazing Christmas Decorations in Dyker Hights Pics by I.A. Looking for something that will put you in a Holiday spirit? Look no more... Cross the river and head to Brooklyn to experience one of the most amazing neighborhoods full of Christmas spirit. Brooklyn is no stranger when it comes to offering an alternative approach to cultural experiences. While the borough is best known for its pockets of various European communities, each specializing in its own delicious cuisine, each December it transforms into a Winter Wonderland: Italian style. 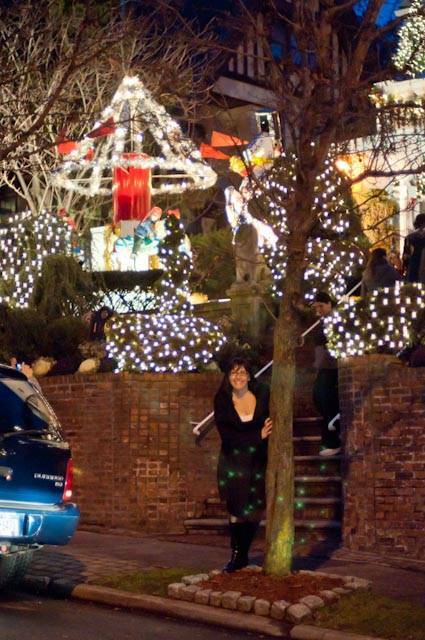 A New York Christmas is most often considered akin to the 5th Avenue spectacle of elegant white and silver lights, which neighbors the grandeur of the Rockefeller Center Christmas tree; yet as mobs of tourists overtake the city’s most glamorous avenue, a few clever visitors have begun discovering Brooklyn’s best kept holiday secret. 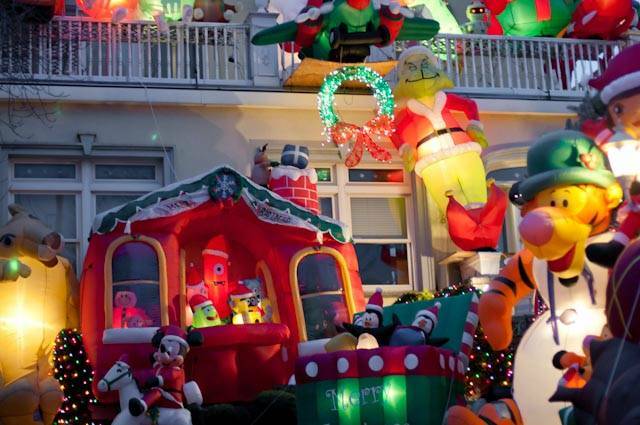 The Dyker Heights Christmas lights are an annual phenomenon, powerful enough to turn any Grinch into Santa Claus himself. Each nook and cranny between 80th and 86th Streets is meticulously adorned in lights, which cover the scores of automated Santa Clauses, reindeer and nutcracker armies, like tiny snowflakes. The Italian stereotype of over-the-top gestures and larger than life dinner courses, when applied to the commercial side of Christmas, is proof that bigger actually is better. What started out as one woman’s intention to lift her neighbors’ spirits in the ‘80s, has quickly evolved into a friendly competition to outshine the house across the street. 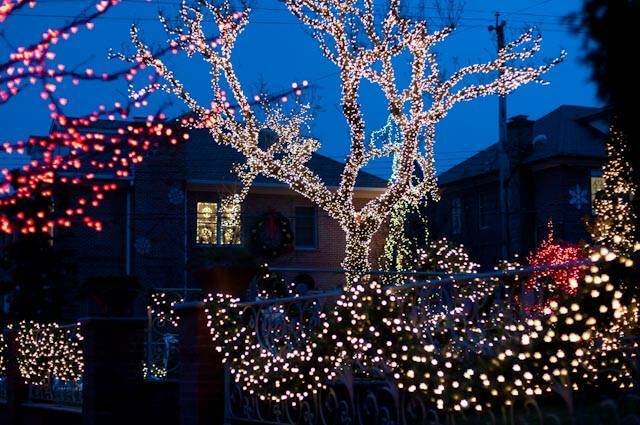 Though Lucy Spata’s original display has escalated into an opportunity for professional decorators to exhibit their talents, the pioneer behind “Dyker Lights” impressively tackles her home and yard on her own. Spata’s passion is reinforced by her ability to keep the Ebenezer Scrooges at bay. 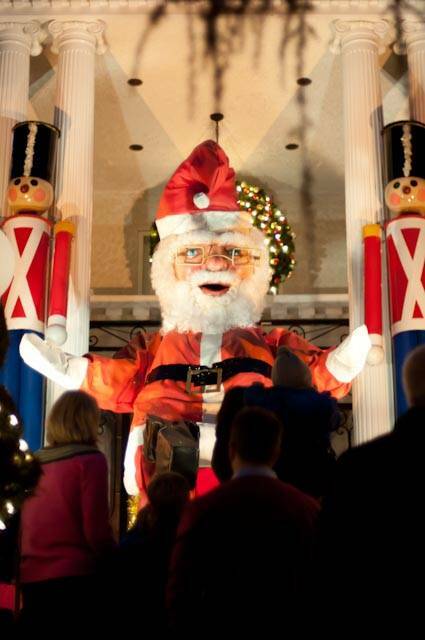 The holidays would not be the same without the handful of grouches not on board Santa’s sleigh, epitomized by people who complain about an increase in people coming to visit the area. Luckily, moaning and groaning is not enough to power down the splendor of these lights, whose only competitor is perhaps the brilliance of Disney’s Electrical Parade. 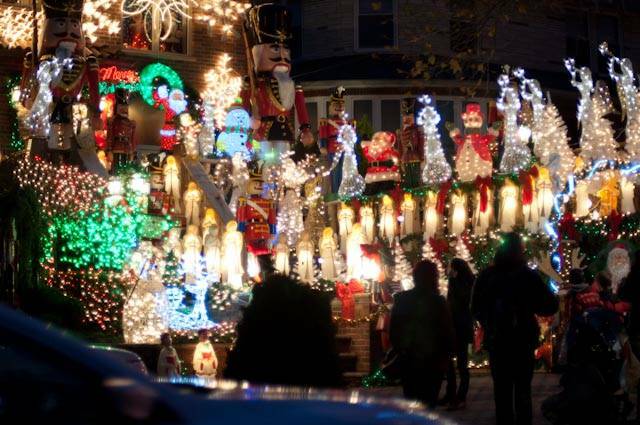 So if this season’s left you uninspired as far as “decking the halls” is concerned, look no further than Brooklyn’s own Christmas spectacle. 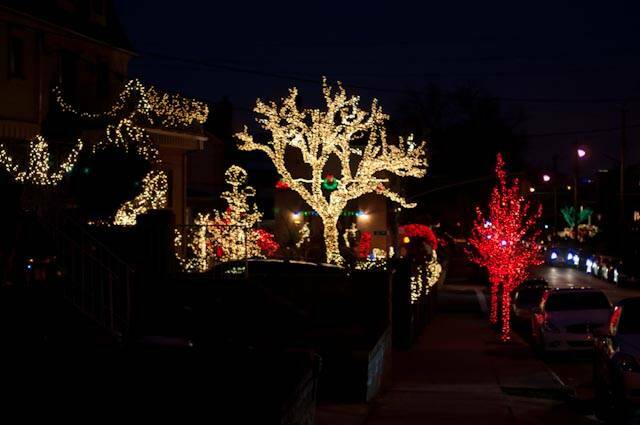 For those not keen on traveling by car or metro, Italian-American “Dyker Lights” specialist, Tony Muia offers nightly bus tours up to December 31st. Each tour lasts around three and a half hours and can be the perfect present for kids from 1 to 92, one that concludes with a scrumptious Italian treat: coffee and a traditional Italian cannoli. Those of us who are more courageous and yearning to burn off a few pre-Christmas cookie carbs, the free “Lights in the Heights Ride” this Sunday, December 23rd may catch your interest. The 25, numerically appropriate, miles of a jolly bicycle ride will not only make your cheeks rosy, but will have you fitting right in with the Brooklynite hipster crowd. Whatever your mode of transportation, you won’t be short on holiday spirit this season-just be prepared to sing “It’s Beginning to Look a Lot like Christmas” all the way home.